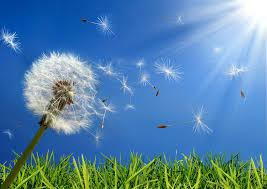 Spring and Summer are prime times for seasonal allergies. Did you know that massage combined with aromatherapy can help alleviate allergy symptoms and can reduce the need for medications? Massage stimulates circulation and increases lymphatic drainage. It also boosts your immune system which may increase your tolerance of allergy symptoms. Your therapist can also use reflexology on specific points on hands and feet that can help relieve symptoms on the sinus and eye areas. Adding aromatherapy to the massage gives additional allergy fighting benefits. Peppermint, Lavender, Eucalyptus, Frankincense and Lemon are all essential oils that can offer relief from congestion and inflammation associated with allergy symptoms. Essential oils can be added to your massage oil and to a diffuser allowing for absorption through your skin and through respiration. If you are one of the many sufferers of seasonal allergies, schedule an aromatherapy massage today. Contact Us.